Give a gift to yourself with a getaway from holiday stress. The holiday season is always a mixed bag of emotions. You're excited to spend time with friends and family, everything you've ever wanted is on sale and begging to be bought, and for decorators 'tis the season to break out fresh-smelling boughs of pine and cinnamon-scented pine cones. However, after being thrust into a whirlwind of festive holiday shindigs and holiday music (how much Michael Bublé can one person reasonably stomach without going certifiably insane?) you may feel the need to get away from it all. Happily, there are thousands of destinations worldwide with secluded, palm tree-studded beaches and clear blue waves where you can rest up and recharge. The tricky part is choosing which one to visit. Punta Cana has already cemented its status as a tourist trap for vacationers looking for sunny beaches and golf resorts in a country where their dollars go further, but the Dominican Republic has many other delightful natural wonders for those looking for a little less expat action. Check out Bahia de las Aguilas (Eagle Bay Beach) for some breathtaking beauty in a secluded, virtually tourist-free location. Located on the southwestern coast in Pedernales inside Jaragua National Park, Eagle Bay is one of the most pristine beaches you'll find in the DR. Laze about on the white sand or go snorkeling, but remember to bring your own food and drinks—it is inside a national park, after all. Playa Juanillo is a tranquil, boho beach in Cap Cana, just 15 minutes from the Punta Cana International Airport. While it's not as isolated as Eagle Bay Beach, it's still pretty dead during the week and only picks up on weekends (when most of the events are held). If you're feeling peckish, try the only (yes, only) restaurant on the beach, Jaunillo Beach Food and Drinks, or make sure to pack some snacks to enjoy while gazing at the crystal clear water. It may not have the silky, fine-grained sand of some of its northern cousins, but Playa Delfines (Dolphin Beach) does have exquisite views that won't be overrun by the tourists who flock to the more built-up beaches in Cancun. No hotels or restaurants border El Mirador (The Lookout), as the beach is known locally, yet it's still dotted with palapas (thatched roof hut umbrellas) and has well-maintained bathrooms. Watch the rolling surf gently lapping the shore or try your hand at hanging ten (or, you know, clutching the surfboard for dear life and using it as a boogie board to glide into the shore). Warning: getting to this beach is no easy feat, but the reward far outweighs the effort to journey there. 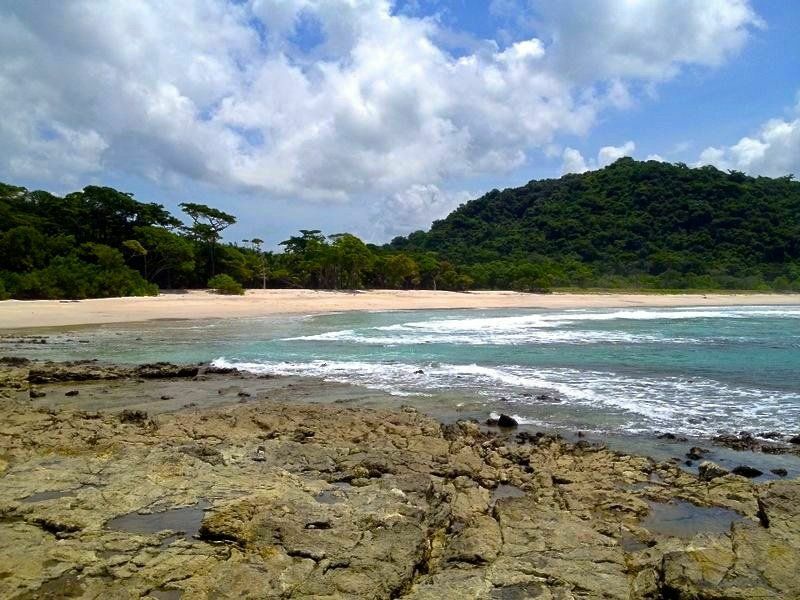 While many Costa Rican beaches are jam-packed with tourists guzzling local beers and soaking up Costa Rica's intoxicating rays, Playa Barrigona remains unspoiled and sublime, thanks to its natural barriers to access. Verdant foliage ascends the towering cliffs that flank this idyllic natural wonder, and there's even a waterfall that descends onto the beach. Yes, that's right. As if it couldn't get any more perfect, there's a gushing waterfall that spills onto the beach's fine-grained shores. Mel Gibson attempted to buy the beach (celebrities, right?) but settled for building a ridiculous, 500-acre retreat in the mountains above it. Incidentally, this $30-million estate is now up for grabs. Tucked away near the quaint coastal community of Tybee Beach is a nature preserve called Little Tybee Island. While it may not be 80 degrees in December like other tropical locales, it's still a beautiful place to get away from the hustle and bustle of the holiday season. It's a tiny slice of heaven accessible only by boat or other aquatic vehicles like kayaks or jet-skies. This virgin preserve is home to multiple bird species that frequent its salt marshes, beaches, and dunes, and there are camping options available for those who enjoy falling asleep to the lulling sounds of peaceful waves. 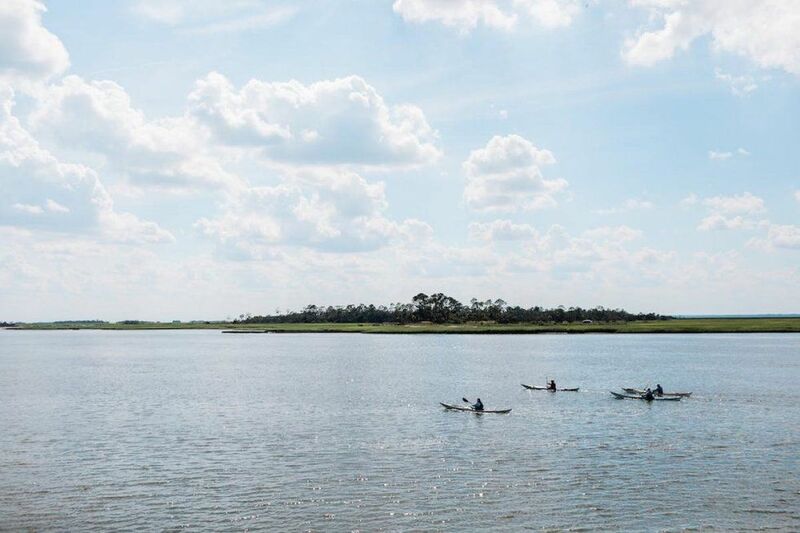 Just 18 miles from Savannah, Little Tybee Island is ideal for a solo picnic or even a social gathering for friends or relatives. Tybee Island Charters will cook up and serve a gourmet sunset picnic for six or more people on a private beach on the island. Dean Martin had it right when he crooned, "Nothing could be finer than to be in Carolina"—but exploring this unspoiled Georgian island certainly gives its southern neighbors a run for their money, even if you're not sporting a bikini. 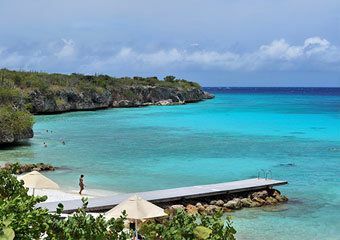 If your only knowledge of Curaçao is of that funky blue liquor that gives tropical drinks their azure hue, you're missing out on a hidden gem. Located at the bottom of the Caribbean—practically within spitting distance of Venezuela—this former Dutch colony combines charming European architecture with stunning aquamarine water and ivory-colored sand. While the government maintains that there are 38 official beaches in Curaçao, there are many more intimate pockets of shoreline dotted along the eastern and northern coasts. Playa Porto Mari is one of the quieter beaches, though it's rare to find a "party beach" on this diverse island. You can snorkel, dive, or simply relax with your favorite book or magazine. With everything you need at arm's length (food, a bar, toilets, and showers) you may be tempted to spend your entire vacation here. Named for its chief residents, black iguanas, Isla Iguana is a beach-lover's (and crowd-hater's) paradise. Mangrove trees fringe the beaches of this lush island, providing an exquisite backdrop to the shockingly white sand and aquamarine water. If you're the type who burns easily or who enjoys the comfort of a cushy beach chair, just make sure you come prepared with provisions, an umbrella, and your own seating—because all you'll find on this secluded shore is what Mother Nature created thousands of years ago. Next time you find yourself one holiday song away from breathing into a paper bag, take a minute to pause and seriously consider planning a vacation to one of these serene beach getaways—because taking care of yourself is the greatest gift you could ever receive.